This information brochure provides general information about the E-MAG Active orthosis knee joint system. How can I get an E-MAG Active? Your doctor and your certified Orthotist can advise you in detail whether an E-MAG Active is suitable for you. How is the E-MAG Active integrated into my orthosis? Your Orthotist designs the orthosis individually according to your needs. 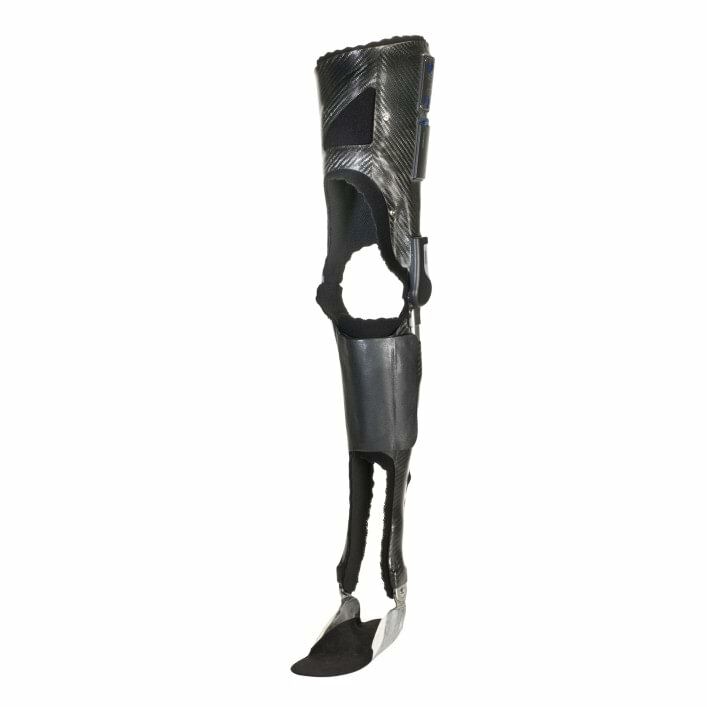 The knee joint system is then integrated into this orthosis. In this process, the most suitable design option for you is chosen from numerous possibilities. Up to what body weight is the E-MAG Active approved? 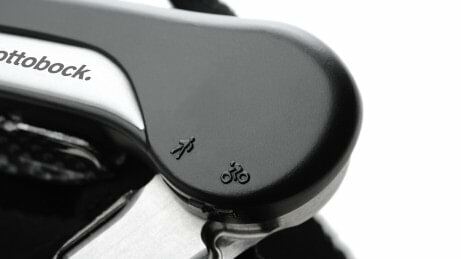 The E-MAG Active is approved for a body weight of up to 100 kg. 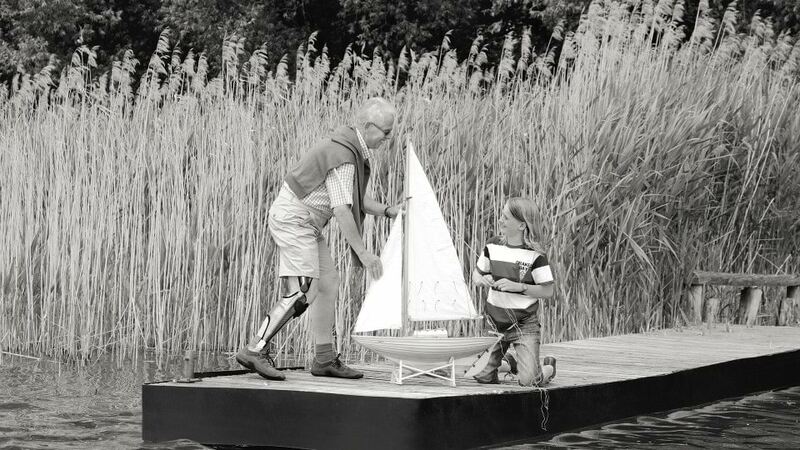 Depending on the weight, it is possible to construct the orthosis so that there is a joint only on the outside of the leg – which makes the orthosis even lighter and more discreet. Can I wear the E-MAG Active under normal clothing? Today's components from the computer and electronics industry are so small that they can be integrated in systems very discreetly. 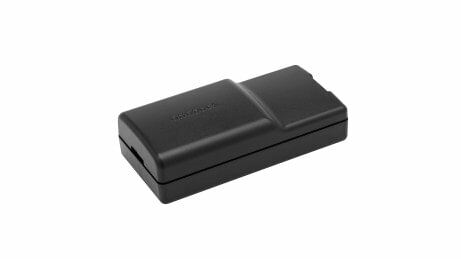 This is also the case with the E-MAG Active. You can wear the Stance Control Orthosis under normal clothes and, thanks to the enclosed design, clothing also cannot get caught. The magnet operates very quietly as well. Can I shower with the E-MAG Active? 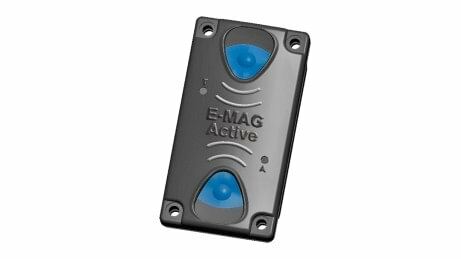 Can I drive a car with the E-MAG Active? It is not possible to make any specific recommendation. You must be able to safely control any vehicle for which you require a driving licence and insurance, or which is used in traffic. This ability when wearing an E-MAG Active is determined on a case-by-case basis. You are required to observe national and state laws.